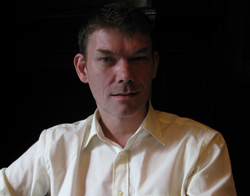 What fate will beset hacker Gary McKinnon now that he has lost his extradition appeal in the House of Lords today? If you want to hear what he thinks about the decision then listen to our exclusive podcast interview by Ian Grant. Being treated by the US authorities as a terrorist is not a nice prospect for anyone… have you seen the film Rendition? We have covered this story in great depth today (30 July 2008) “Law lords reject extradition appeal by Gary McKinnon” and also this “ essential guide” that rounds up all our content on the case. I hope you enjoy the podcast I think it adds tremendously to our depth of coverage. Easy answer, if this country had the backbone it once had of course! Give us the U.S soldier whose bullet killed ITN Journalist Terry Lloyd. One asks ones self, who carries the greater guilt?